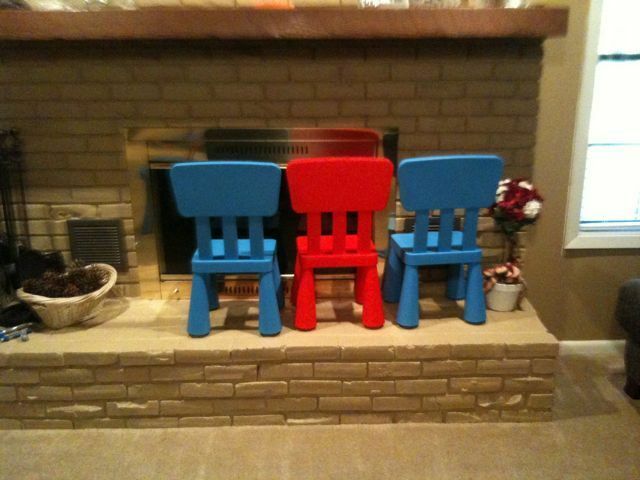 Caden apparently saw Jennifer put his chairs on the hearth before vacuuming last week. Glad he didn’t say “daddy vacuum.” Ha! Ha!